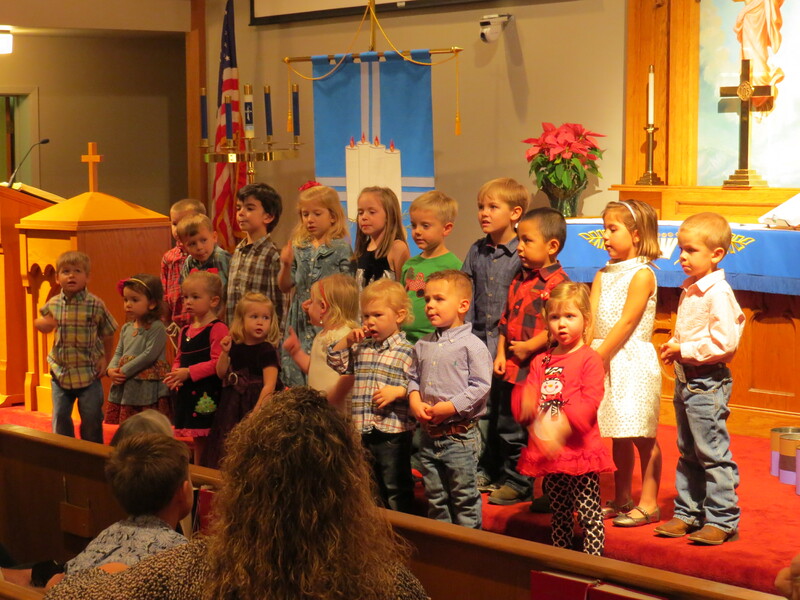 The students of our Daycare Ministry – Martin Luther Lutheran School (MLLS) – presented their annual program recently. 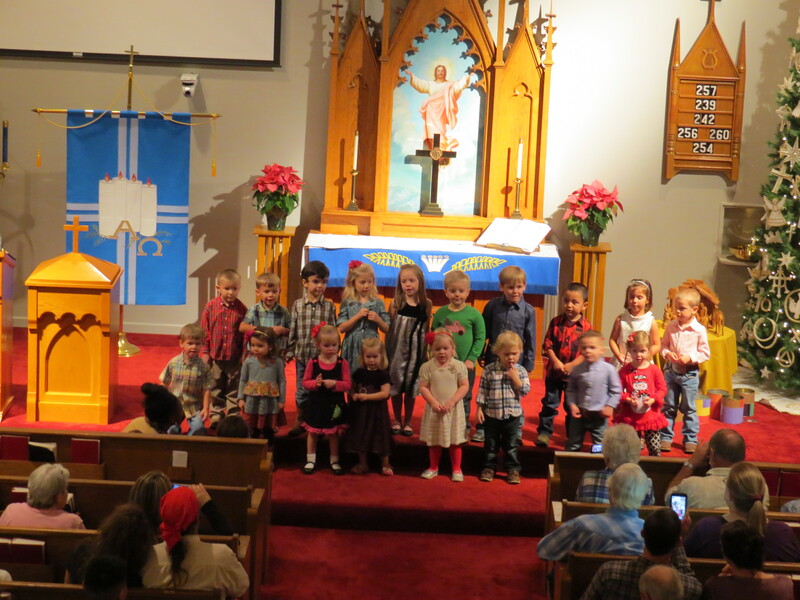 On Friday evening, December 5, the older students in this ministry presented songs and poetry which proclaimed the good news that Jesus Christ is born. Parents, grandparents, siblings, relatives and friends of students, staff and school board members gathered to enjoy this special presentation. The students practiced for weeks to get ready. They did a great job, as always. 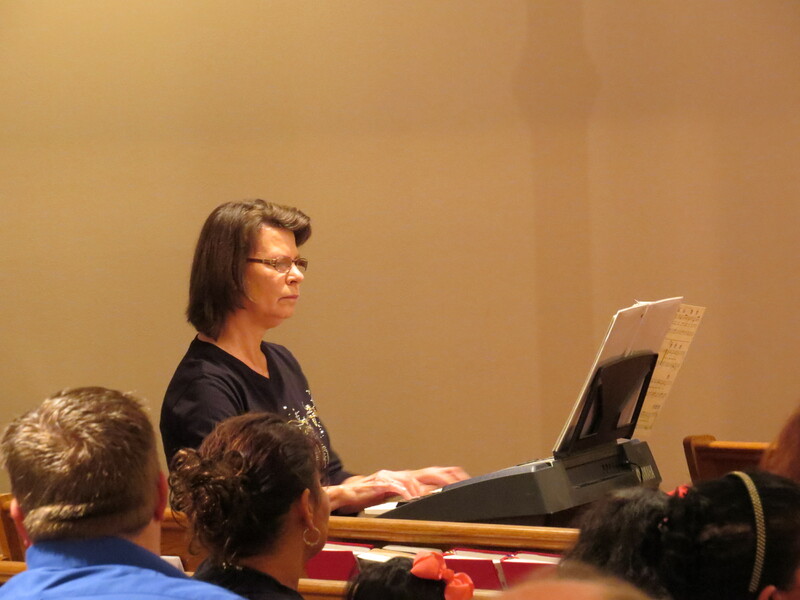 We are thankful for the ministry of church musician Nancy Eilers who accompanied the singing. 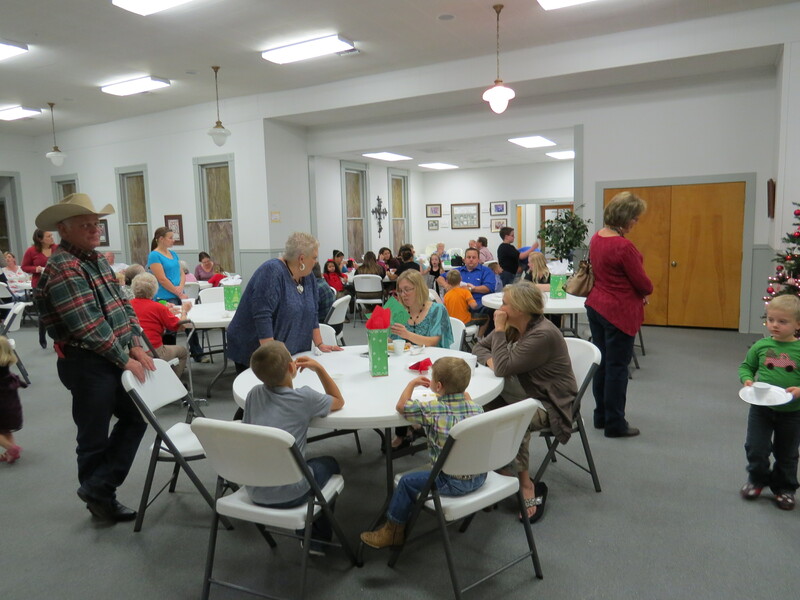 Many gathered for food and fellowship in the Fellowship Hall following the program.